The best kayak lessons and instructional classes in the San Juan Islands can be found here in Anacortes, Washington. Join our professional, certified kayak coaches for three days of fun and adventure in the surrounding waters off the the San Juan Islands to strengthen your kayak skills while camping in the beautiful San Juans! The best kayak lessons and instructional classes in the San Juan Islands can be found here in Anacortes, Washington. Join our professional, certified kayak coaches for three days of fun and adventure in the surrounding waters of the San Juan Islands to strengthen your kayak skills while camping in the beautiful San Juans! This 3-day kayak course allows participants to develop their skills in a real-world environment. We believe that when you are fully engaged you retain what you are learning at a deeper, more fundamental level. You also experience the joy and excitement of kayak touring. You just can’t capture this in other styles of teaching. At the end of our immersive course, you will be better prepared to plan your own trips and be a better kayaker. 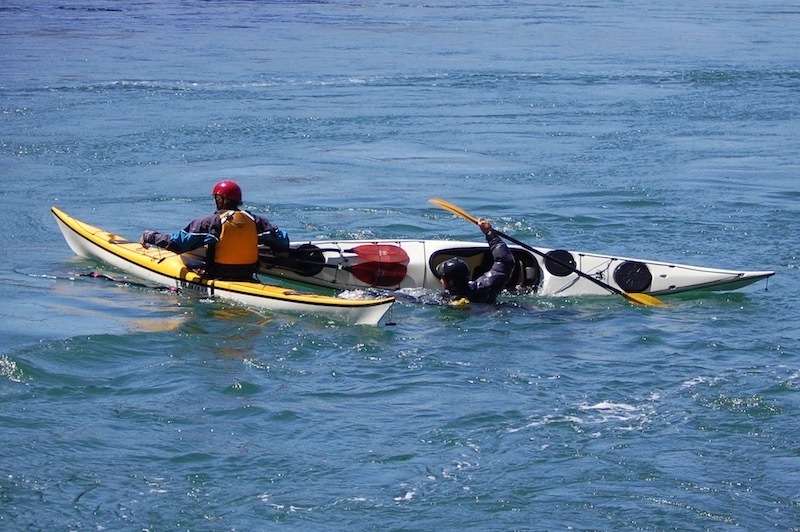 Your coaches are internationally recognized sea kayak instructors. They are part of the vanguard of passionate coaches coming out of the comprehensive British Canoeing development program. With their help, you will quickly learn the most effective, efficient, and easy ways to plan your trips, to solve problems, and to look fantastic in your kayak. We do promise you an adventure as part of this experience and we deliver. As you paddle through the beautiful scenery on your way to a remote island in the San Juans, we will deliver your training in manageable, bite-sized lessons. Your instructors are avid and trained naturalists and will become your guides when ‘class is not in session’. They know the San Juan Islands intimately and have a deep love for the natural environment, the plants, and animals of the area. At the end of each day you’ll camp at a beautiful campsite accessible only by the sea. There is always time to walk or hike to explore the area before settling in for the evening. At camp there will be time to learn about kayak navigation and the tides & currents of the San Juan Islands. This is an expedition-style kayak instructional class. You’ll be on the move and active, always looking for new areas to learn skills. By the end of the trip you’ll be tired, but you will have a new level of confidence to find your next sea kayaking adventure. 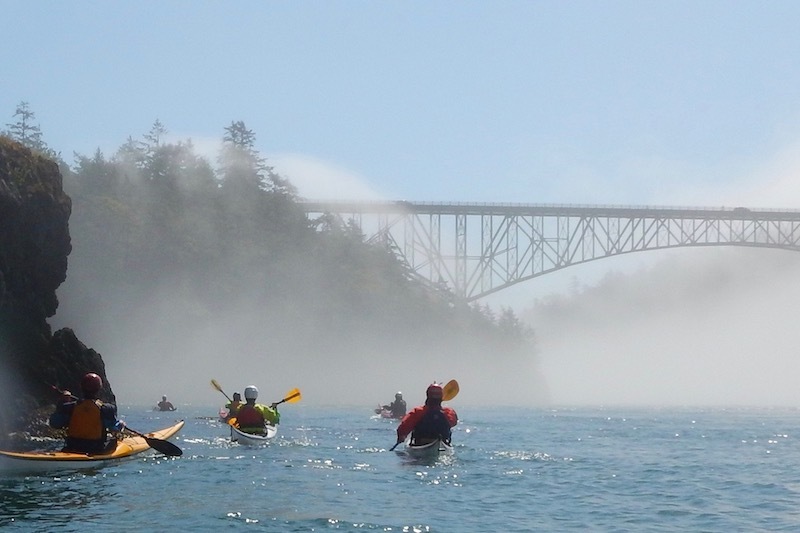 This is an experiential education best suited for developing paddlers who are interested in learning sea kayak skills and wish to combine a kayak lesson with a fun camping trip in the San Juan Islands of Washington State. If you are worried that you may not have the basic skills that we list on the prerequisites for this sea kayak instructional class then please let us know. We would love to help create a multi-day kayak lesson that is tailored to your needs. We also have other types kayak classes available through our sister-company, Blue Otter Outfitters. Join us! June-No courses are being offered in June. 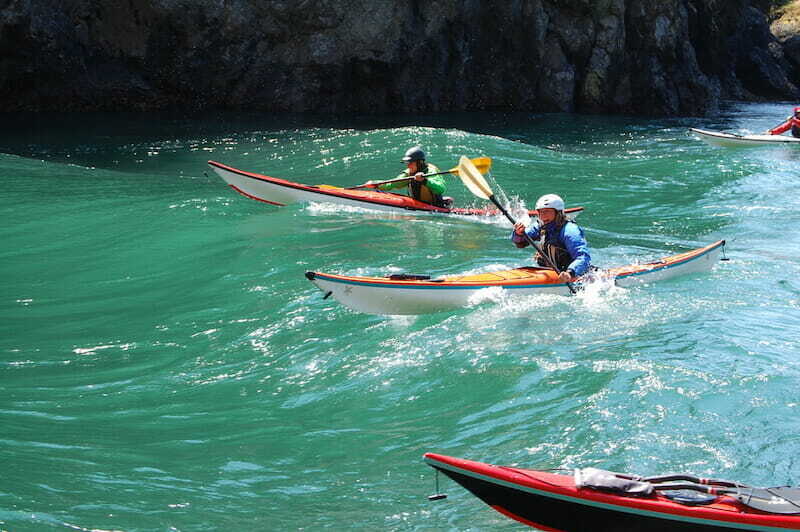 Our instructors will be traveling to Europe to receive more kayak coaching certifications and to work abroad. 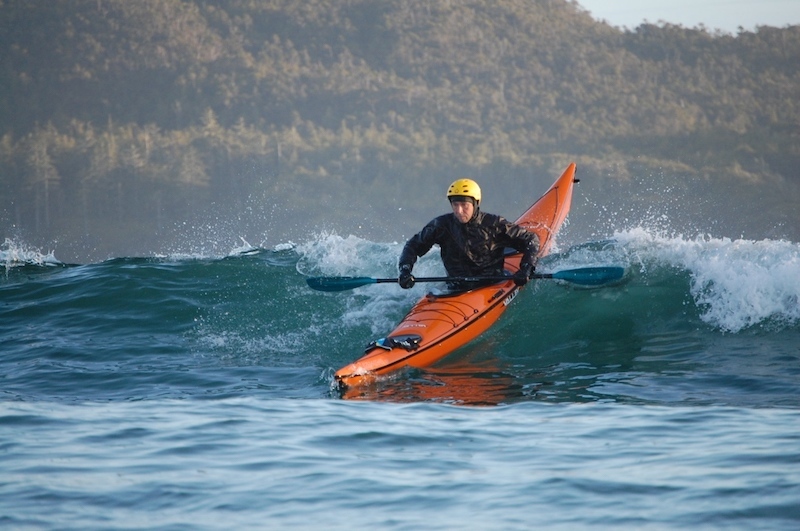 All sea kayaking equipment (Lifejackets, paddles, tow belts, bilge pumps, safety gear). Immersion clothing (Drysuits, neoprene booties). Dry bags for packing personal gear. Don’t have everything that you need? No problem! We are a fully equipped outfitting service. Discover Pass, or $10 for parking in Deception Pass State Park. Life jacket, paddle, spray skirt, bilge pump other related kayak gear. Drysuit. You will be getting wet. Layered clothing for warmth on the water. Avoid cotton. Dry clothing for the camps. Food and drink for the expedition. Safety equipment will be carried by your instructor. Fun and professional coaches with internationally recognized certifications. If you do not have all of your own equipment then we can help you out! Camping equipment: Various prices, call us for details. Burrows Island Tour was fantastic! We’re psyched about our trip! Thanks, you have been very helpful. Your web site rocks. All I can say is, what an incredibly perfect day! The only flaw was that it was over *way* too soon. I will definitely be back for another Outer islands kayaking trip. In any case, please keep me posted on any multi-day trips you plan for next summer.